Questions arose whether or not Stanley Kubrick had seen A Canterbury Tale prior to making his famous movie 2001 - A Space Odyssey. A medieval Chaucer character releases a bird of prey at the start of ACT. The bird flies high into the air and then transforms into a World War Two Spitfire as the modern sequences that take up the rest of the movie begin. The idea is similar to a scene in Odyssey where a bone, thrown into the air by a prehistoric ape called Moon-Watcher at the end of the movie's first section, is transformed into a futuristic orbital weapon platform travelling through space, to usher in the second section, set about four million years later. It was Emeric Pressburger's idea to change a bird into a plane. Charles Staffell, a special effects advisor, worked on the production of ACT and also Kubrick's Odyssey which could help explain the similarities. 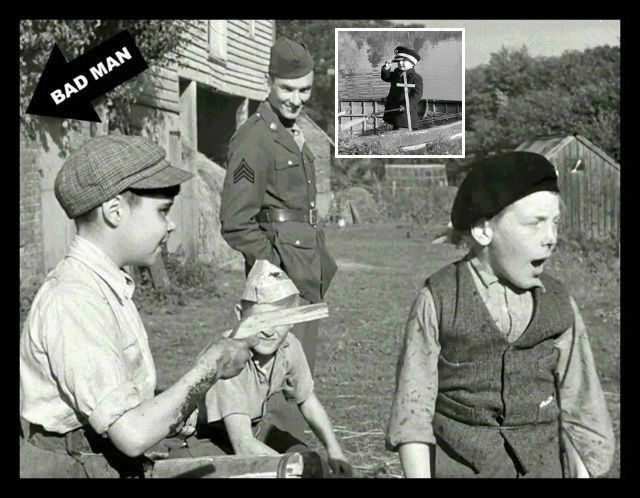 Compare these two short scenes from the Powell & Kubrick movies. 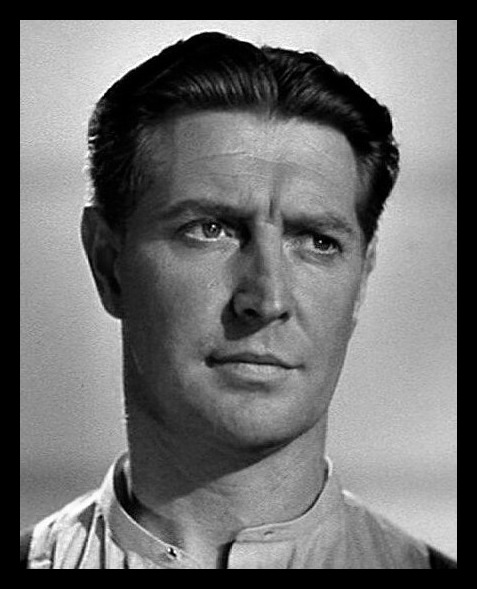 Roger Livesey was considered to play the role of the Glue Man. 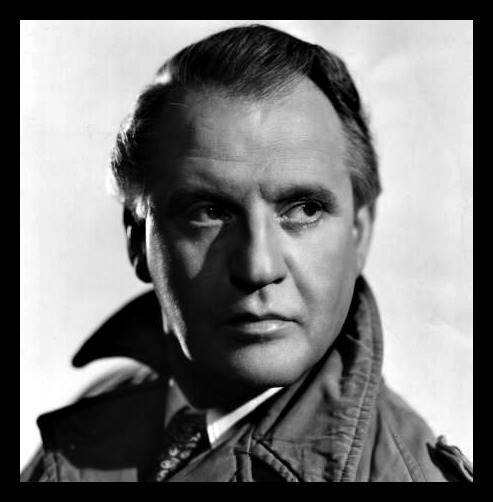 Eric Portman had a mean look which was better suited to play the role of the glue throwing villain. The draft script called for a knife to be used by Colpeper to slash the dresses of the girls who were dating the soldiers, but it was changed to pouring glue on their hair. One of the themes of A Canterbury Tale is comparing life in a country village with life in a big city (Chillingbourne verses Chicago). 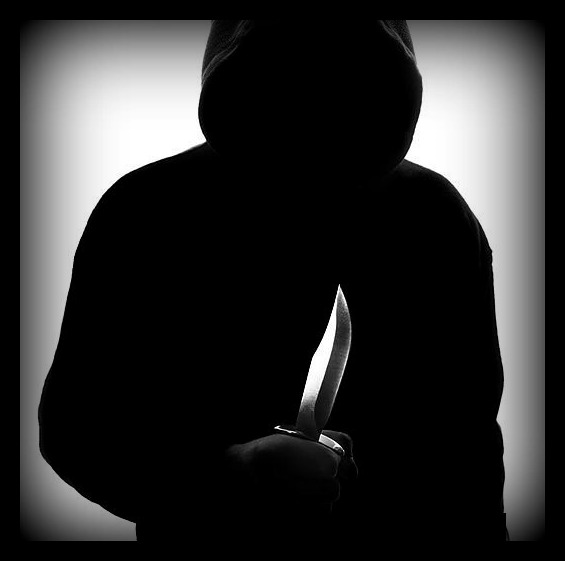 A big city is the place where criminals commit acts of violence, so it would make no sense to depict an assailant in Chillingbourne using a knife which could cause terrible injuries including death. 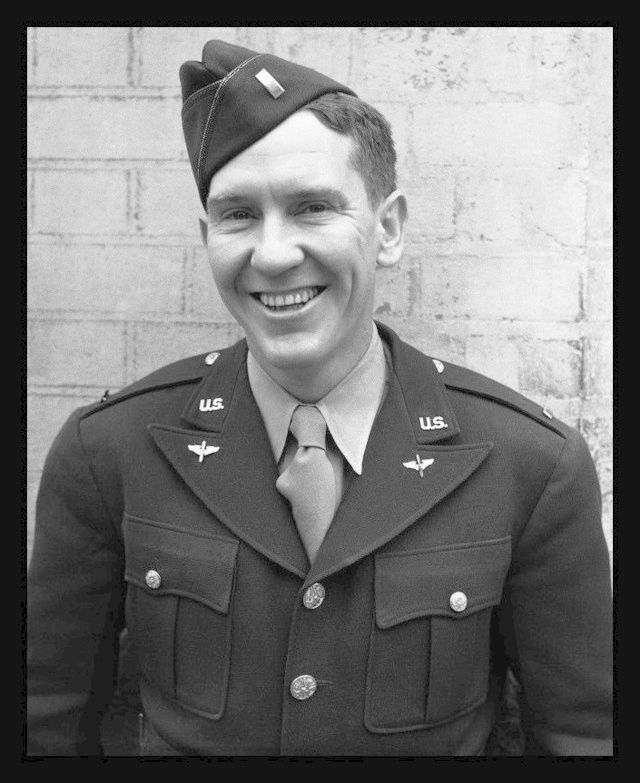 Burgess Meredith was the first choice to play Sergeant Bob Johnson, but John Sweet got the part. Meredith instead acted as a script editor for Johnson's character. The original idea was for Bob Johnson to travel to Canterbury because his ancestors had come from there, but the final script did not mention it. 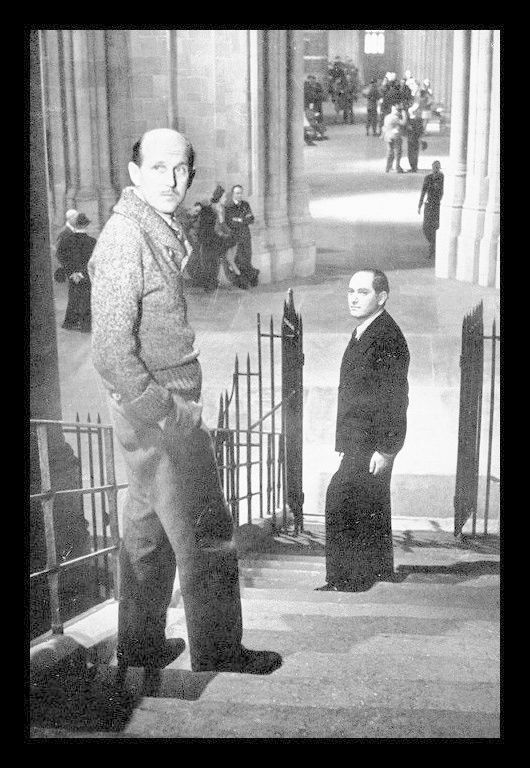 Michael Powell first spotted John Sweet in a stage production called "The Eve of Saint Mark" at the Scala in Kings Cross. Also worth noting is that Sweet's entire movie earnings of £500 was donated to a charity with the approval of the American soldier himself. After the war, Sweet returned to the USA and continued his career as a school teacher. It's interesting to note that Sweet has the same birth date (8th of February) as James Dean and the administrator of this website. Sweet was one of the best natural actors the Archers ever employed. He died on the 5th of July, 2011. 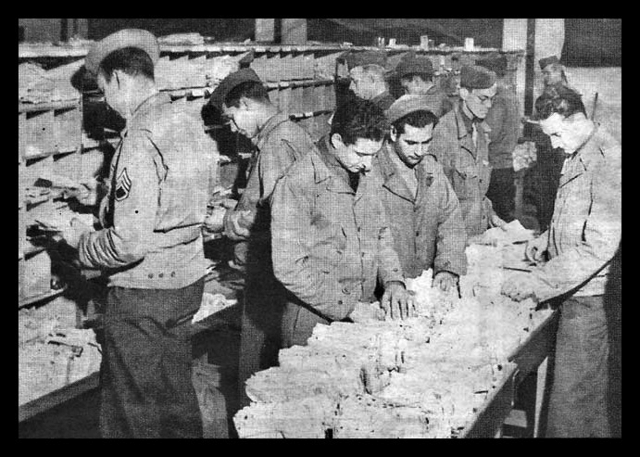 In A Canterbury Tale, Sergeant Johnson had not received a letter from his girlfriend for seven weeks, but in real life, John Sweet had not received any mail from his wife in the USA for twelve months. Michael Powell's first choice to play the role of Alison Smith was the well known actress Deborah Kerr, but she became unavailable for the production. In my opinion, Kerr was a little too sophisticated and glamourous to be a convincing Land Girl. The important female role of Alison Smith was best suited for an actress with "down-to-earth" looks. 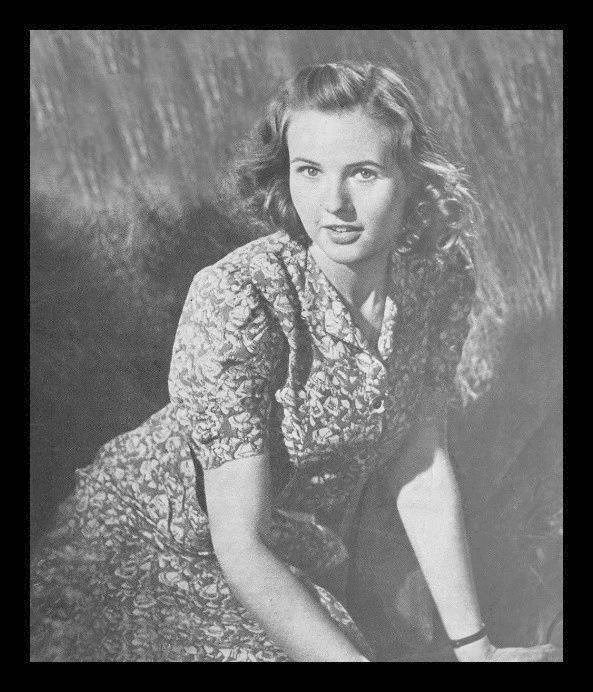 Sheila Sim drew on her own experience for the role of the Land Girl, having volunteered in 1940 to work for the Women's Land Army in Herefordshire. Sim first met Michael Powell in London which resulted in her movie debut in A Canterbury Tale. Powell was very impressed with Sim's brilliant acting saying, "She made it her own, delivering a performance of depth and sincerity." During the time of the 1943 production of ACT she was engaged to Richard Attenborough. Sim, who later was known as Lady Attenborough, died in 2016. 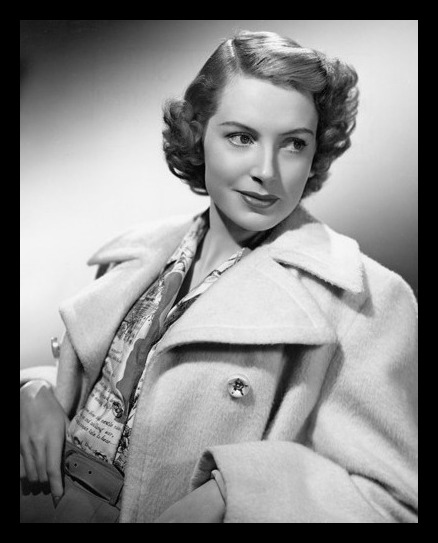 The above image is Sheila Sim and the name of her stand-in was coincidentally Sheila Bell. 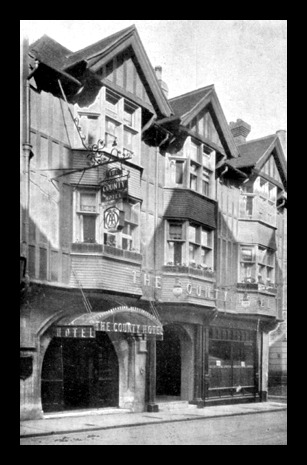 The County Hotel (opposite the Beaney Institute on the High Street) is where Sheila Sim stayed during the location filming of A Canterbury Tale. The County Hotel, which was also used for a post production party, is now called the ABODE. 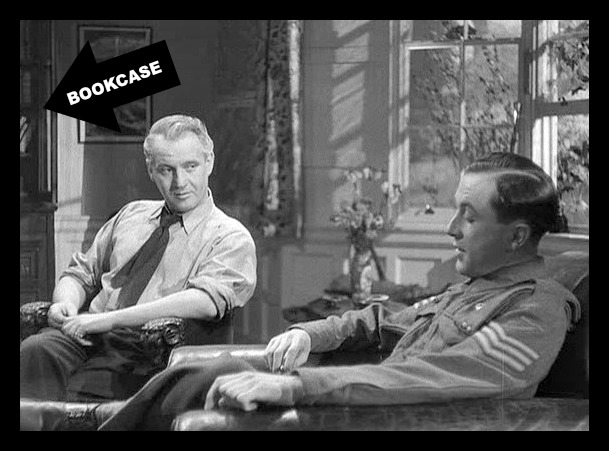 Michael Powell described seeing Dennis Price on stage for the first time: "A tall slim young man. He had charm and elegance and a long, good looking oval face with a long, sensitive upper lip. He was impudently well mannered." 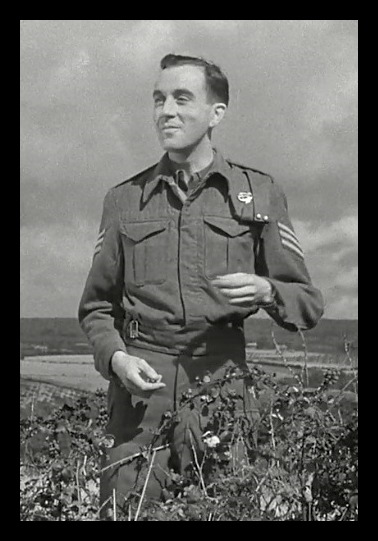 Price, who played the role of Sergeant Peter Gibbs, would often forget his lines during the filming of A Canterbury Tale. Price died in 1973. He is buried on Sark (Channel Islands). When the trio chase the Glue Man up Charing Street it was actually in a studio. 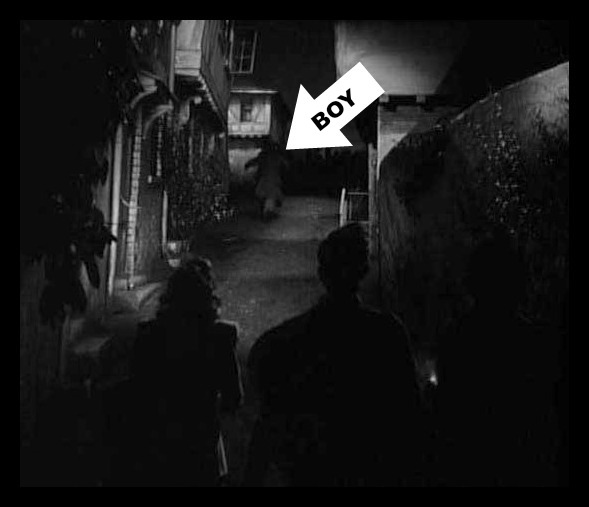 The allusion of a longer street was made possible with the use of a boy wearing a coat running away in the dark. Charing is the name of a Kent village which is located on the Pilgrims Way. When Peter visits Colpeper's house he looks around for incriminating evidence. He opens a bookcase and chooses a volume at random. When he opens the book it clearly shows a photo of an island called Foula which is the location of Michael Powell's movie, "The Edge of the World." As a boy, Michael Powell and his mother went on a journey on the Pilgrims Way from Canterbury to Southwark. 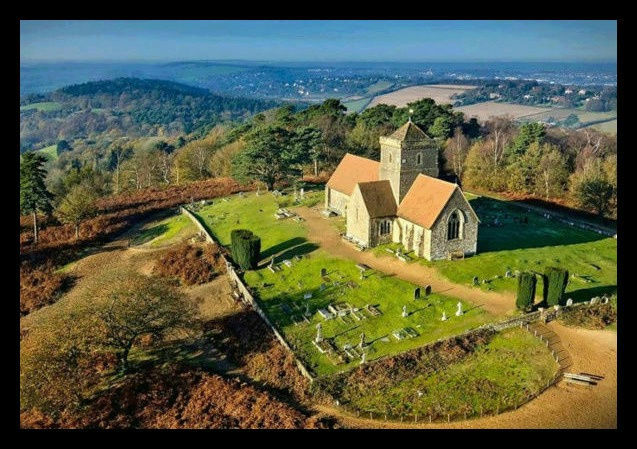 Upon their arrival in Guildford and the Wey River passing by Merrow Down, they made a detour to see the beautiful church called Saint Martha-on-the-Hill which became Powell's inspiration for the opening scene of A Canterbury Tale. Reverend Philip Grey was very impressed with the excellent teamwork of the Archer's film crew. Emeric Pressburger paid a return visit to Saint Martha-on-the-Hill in 1961. British Boxing champion Billy Wells played the role of the Knight in A Canterbury Tale. 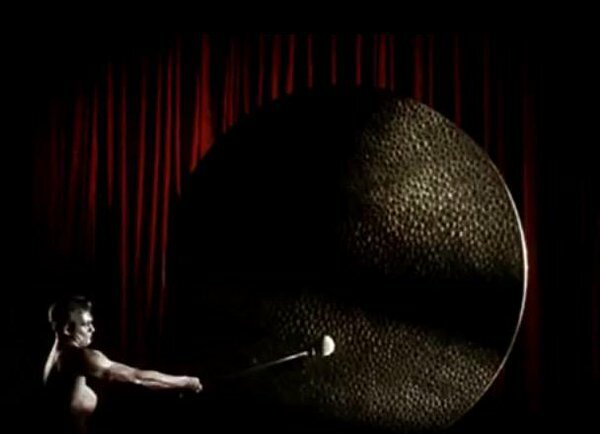 Wells was one of the men hired to strike the gong before the start of a RANK movie. 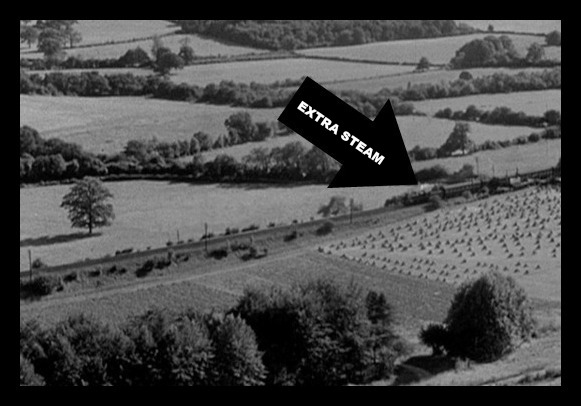 A real engine driver helped with the opening railway scene in A Canterbury Tale when he was requested to purposely release more steam so his train could be easily spotted from a distance. James Tamsitt, who played the role of General Terry, had a haircut to make him look tidy before he went to London with Leonard Smith and David Todd to film some scenes at Denham Studios. 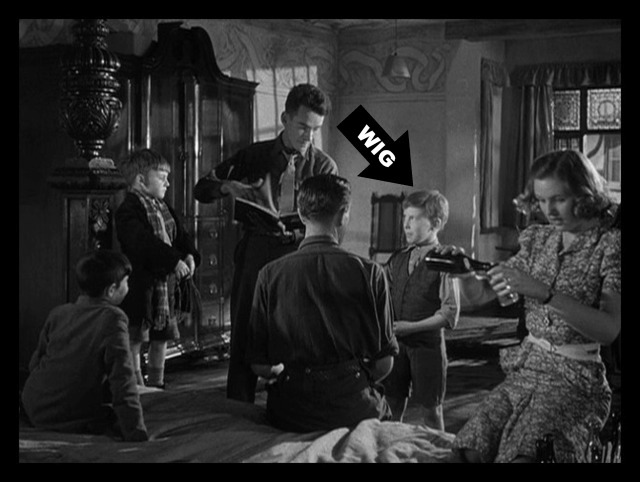 Upon his arrival in London, Powell & Pressburger told James he had to wear a wig because his new haircut didn't match the hairstyle he had in scenes already filmed on location. 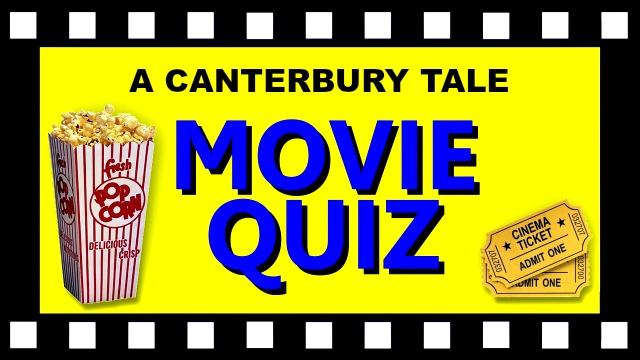 Some of the boys who appeared in A Canterbury Tale were paid £9.00 each for two weeks work. David Todd (see insert) did not always cooperate when it came to filming his scenes. He was given many custard pies in an effort to keep him under control. For some reason David would cry when he saw a particular member of the camera crew so that man had to be hidden from view. But when Michael Powell wanted little Commander Todd to cry and he didn't, out came the "bad man" and immediately David would erupt in tears. However, the crew member got a little too close to the action and was caught on camera before making a hasty retreat. CLICK ON THE PHOTO TO SEE THE BAD MAN AT THE ONE HOUR TWO MINUTES MARK. Canterbury Mayor Frederick Charles Lefevre and Canterbury Police Superintendent George Hall travelled to Denham Studios for the filming of the final scene of ACT. 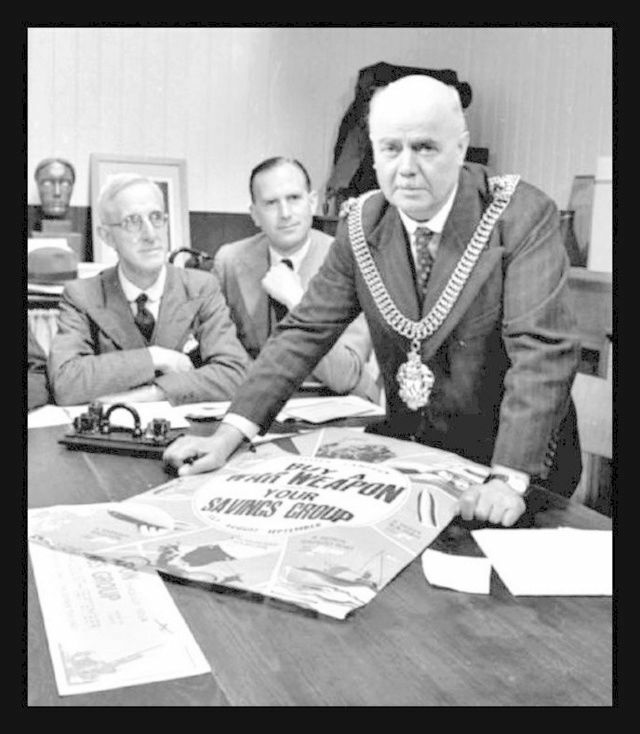 CLICK ON THE PHOTO TO SEE THE MAYOR AND SUPERINTENDENT IN THE ACT MOVIE. SEE THE SUPERINTENDENT AT THE ONE HOUR FIFTY FIVE MINUTES EIGHT SECONDS MARK. SEE THE MAYOR AT THE ONE HOUR FIFTY FIVE MINUTES TWENTY SIX SECONDS MARK. In the Hand of Glory, Albert tells Alison that the stone on the wall was found on the Pilgrims Road. 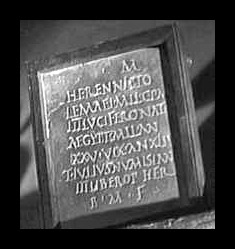 The stone is actually an epitaph of a Roman soldier Marcus Herennius Tolemaeus who was in the army for 25 years. 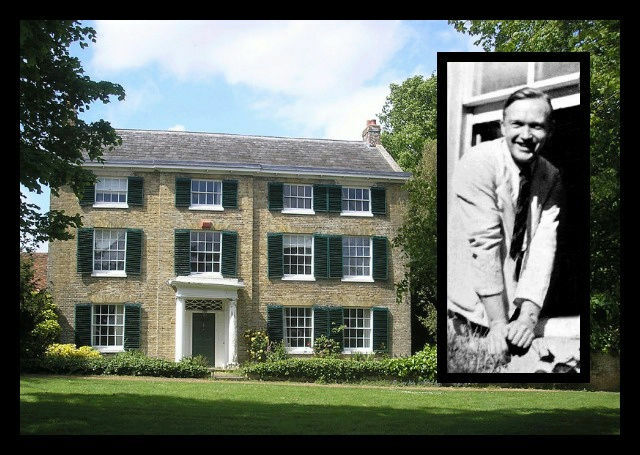 During the filming of A Canterbury Tale, the owners of Wickhambreaux Court were Frank and Elizabeth Montgomery. Frank (see insert) was a local Home Guard and a member of the secret Mustard Seed Patrol whose job would be to sabotage German efforts if the Nazi invasion of Kent was successful. In 1943 this building in Saint Peter's Street in Canterbury was used as the office for the Archers. 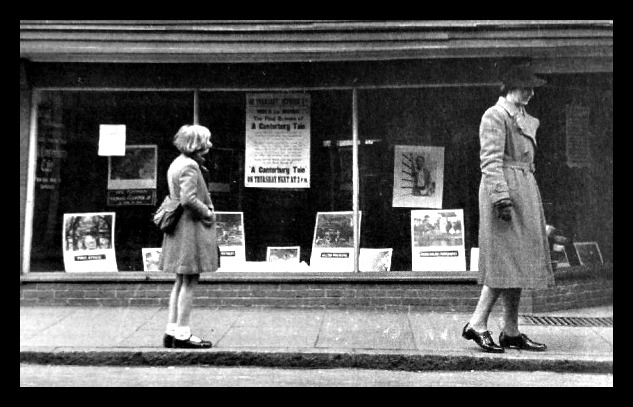 Michael Powell placed a poster and photos in the window advertising the filming of ACT. 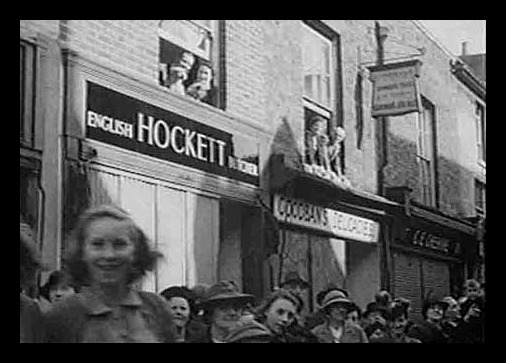 These spectators on the High Street were unpaid extras filmed during the parade in A Canterbury Tale. 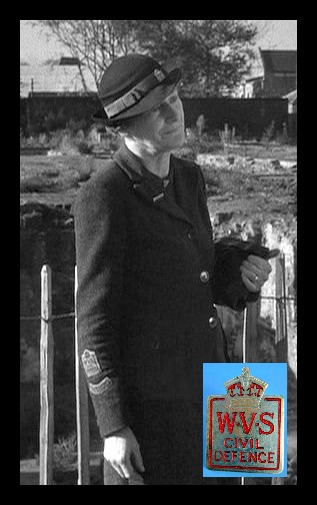 Kathleen Sybil (Reid) Lucas (1889-1989) was the uniformed woman who was approached by Alison for help with street directions. Kathleen, who was awarded a MBE in World War One for her services to Civil Defence, was a true British patriot who also joined the Women's Voluntary Services and became County Borough Organiser for Canterbury. 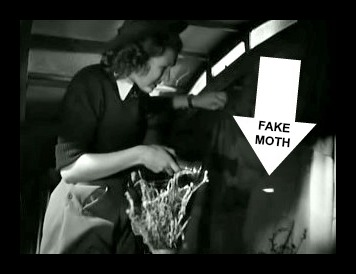 If you look closely at the scene when Alison is inside her caravan at Rose Lane Garage, you will notice that the "moths" are actually little bits of white paper flying with the help of an off camera fan. The Hand of Glory was a right hand of a murderer that was severed while the corpse was still hanging from the gallows. Afterwards it was wrapped in a shroud and squeezed of blood then pickled for two weeks in an earthenware jar. It was either dried in an oven or laid out to dry in the sun during the hot days of August. When the hand was ready, candles were fitted between the fingers. They were called the "dead man's candles" and were made from another murderer's fat, with the wick being made from his hair. 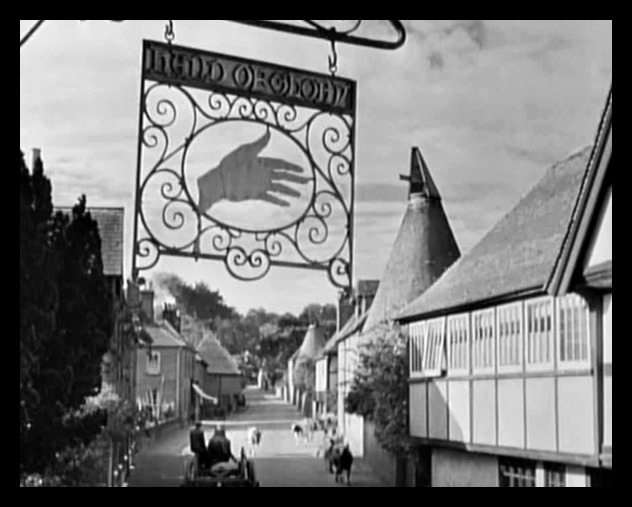 The "Chillingbourne Arms" was first considered as the name for the Hand of Glory. The Hand of Glory set featured hand carved wooden pilgrims on the staircase. The Canterbury Tales were also seen in pictures as a mural on the landing of the staircase. 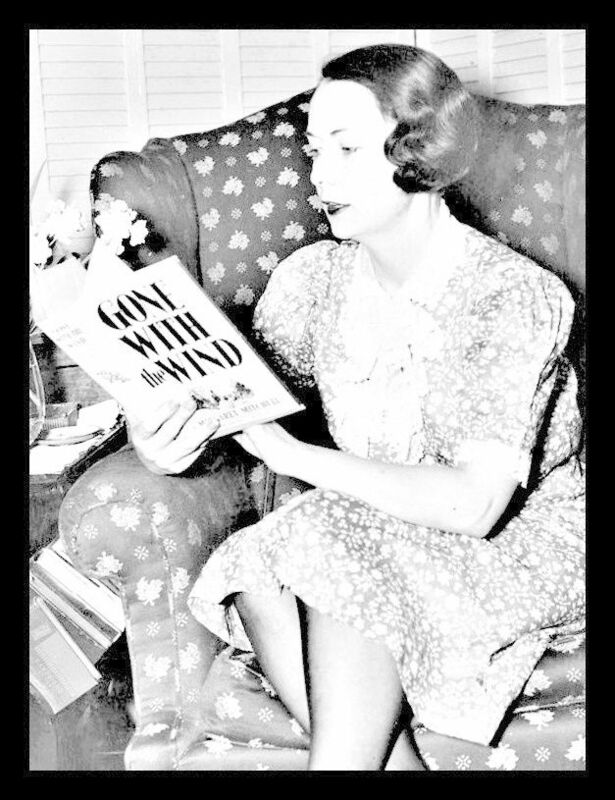 In 1949 Margaret Mitchell died in hospital after she was hit by a drunk driver when she was crossing the road on her way to see A Canterbury Tale. 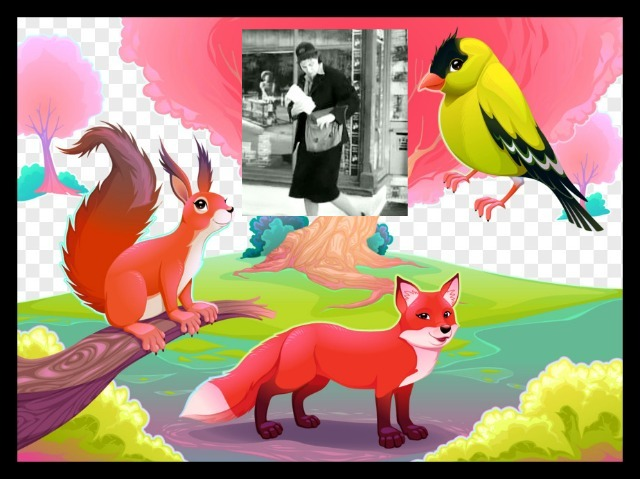 During production filming in Wickhambreaux, the real sub-postmaster was Mr. Squirrel and the real postman was Mr. Fox. The character of Dorothy (postwoman) was given the surname BIRD in keeping with the "natural names" already found in the village post office. 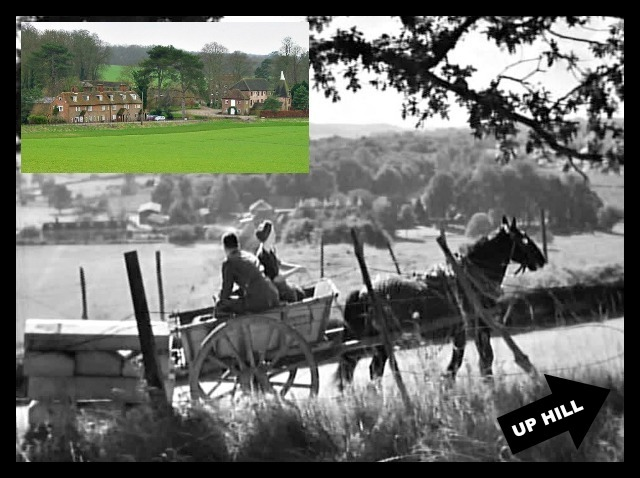 After spotting Colpeper, Alison and Bob ride in the farm wagon UP a road then come to a stop with Swarling Manor in the distant background. After Bob leaves, Alison rides away, but now she is going DOWN a road. The first part of the scene was filmed from the RIGHT side of Swarling Manor and the second part of the scene was filmed from the LEFT side of Swarling Manor. After an obvious film edit (just before Bob puts on his cap), we see Alison on Chartham Downs Road turning into Swarling Hill Road to end the scene. The horse we are told knew how to get to Miss Honeywood's farm and the idea was (from an audience perspective) for Swarling Manor to be Miss Honeywood's farm. 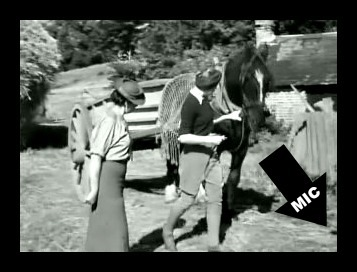 In reality, Elbridge Farm in Littlebourne was used for the location filming of Miss Honeywood's farm. CLICK ON SWARLING MANOR TO SEE THE MAP OF THE BEAUTIFUL SURROUNDING AREA. The shadow of the MIC at the end of the boom is briefly seen when Miss Honeywood chats with Alison during a bright sunny day. The microphone boom can either be hand held or dolly mounted. The view of Canterbury Cathedral from the hill. First seen by Alison, then seen by Bob and Peter. But the distances seem to be totally different. Erwin Hillier made use of a telephoto lens to make Canterbury Cathedral look closer for Alison. Michael Powell speaks about Erwin Hillier (see insert) and his love of cloudscapes: "He detested a clear sky, and it sometimes seemed to me that he forgot about the story and the actors in order to gratify his passion." 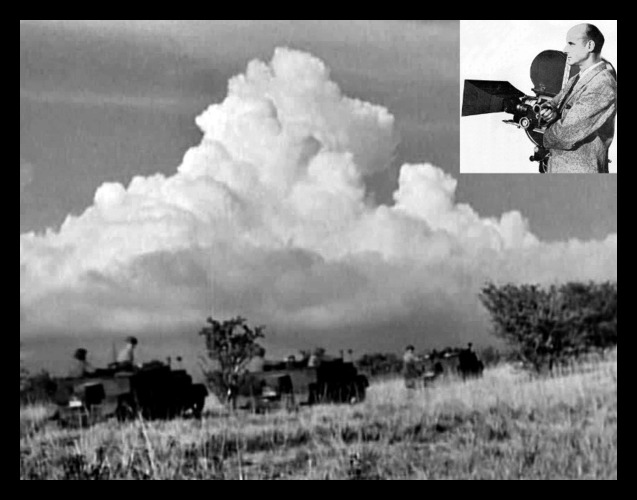 On location, Hillier would plead, "Meekee, Meekee, please wait another few minutes, there is a little cloud over there and it is coming our way, I'm sure it is." Powell later said of Hillier's filming of A Canterbury Tale: "He did a marvellous job." 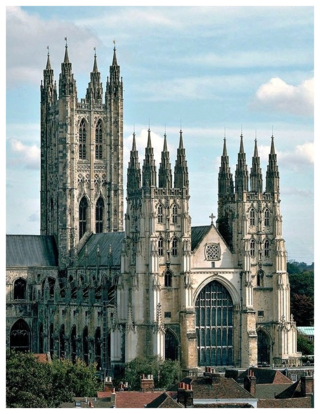 Almost all the internal scenes of Canterbury Cathedral were filmed in Denham Studios because the church authorities would not allow the use of the cathedral for commercial gain. The studio set (see photo) was so similar to the real interior that even some tour guides have been fooled thinking that A Canterbury Tale was filmed inside the cathedral. 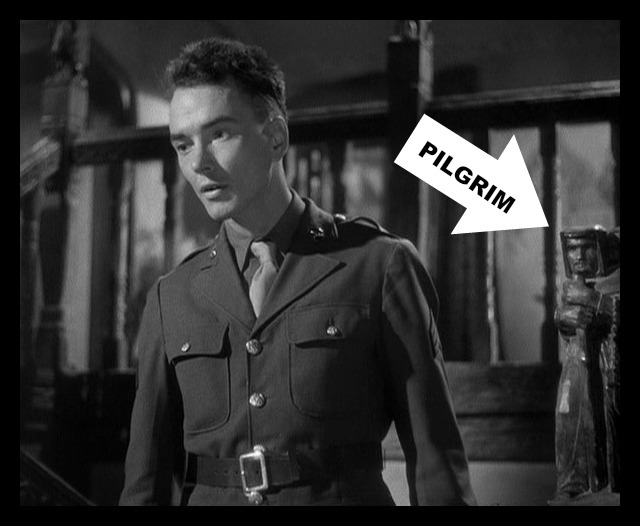 Note the black "iron" railings where Powell & Pressburger are standing are actually made of wood. During production someone leaned on a section of railing causing it to break. A carpenter had to make some quick repairs before filming could commence. 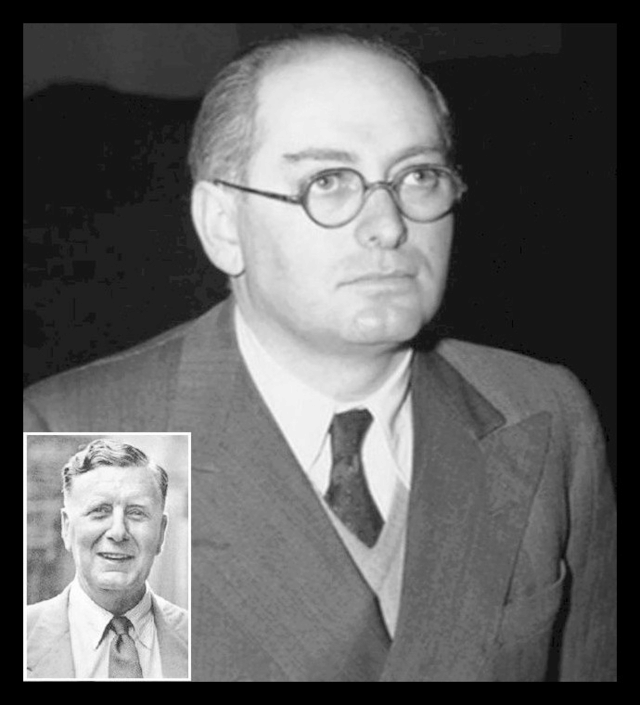 During World War Two, Emeric Pressburger was refused a Temporary Residence Permit by Kent Chief Constable Percy Sillitoe (see insert) on the grounds that he was a Hungarian who had once worked in Berlin. 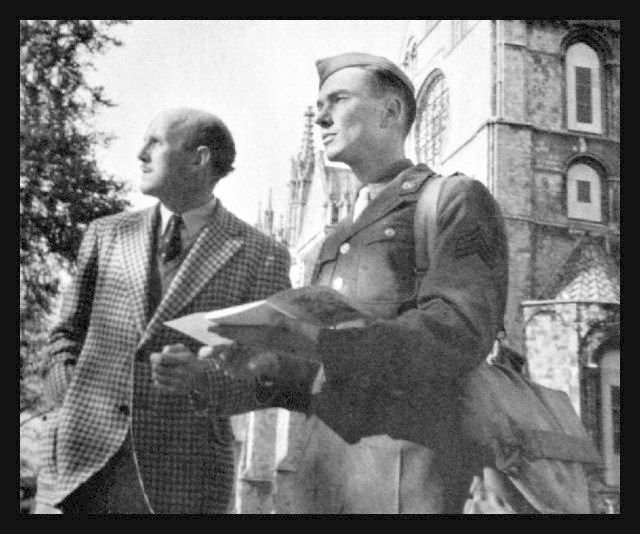 Pressburger eventually made it to Canterbury in 1979. The bell ringing in the opening and closing shots of A Canterbury Tale were a miniature replica of the real thing. The bells were "rung" by local bell ringers who pulled the strings with finger and thumb. Authentic bells were heard ringing in the background. Because of World War Two, England's church bells had been silent since July of 1940, when the government ordered that they could only be rung as a warning of imminent invasion by the enemy. The ban was lifted temporarily to celebrate the Eighth Army's victory at El Alemein in November of 1942. The bell ringing ban was finally withdrawn in the summer of 1943. However, most churches were unable to restart their bell-ringing groups until 1945. Bell Harry Tower, Canterbury Cathedral's central tower, was completed in 1498 and is 253 feet high. 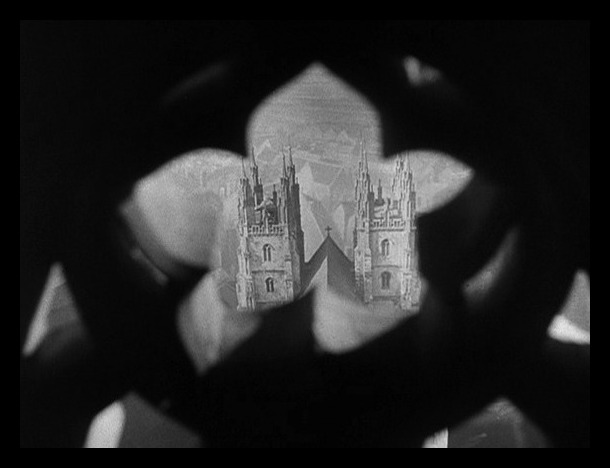 For the 1943 production of ACT, Michael Powell decided that his cathedral bells would ring out from there. The tower has only one bell (the famous Bell Harry) which tolled every weekday before Communion and every evening before the gates to the Precincts are closed for the night. When ACT was made, peals had been rung for the previous 87 years in the south-west Oxford Tower (on the left in the view along the nave roof). The Archers created their shot with the aid of a photograph taken from the tower before the war. Alfred Junge's brilliant ability to use photographs and models to create realistic sets and scenery depicting real places is demonstrated many times during the movie.